Age 91 of Lakeville, born October 27, 1927 in Wittenberg Township, WI to Otto & Bessie Boerger, passed away, November 15, 2018. Elnora enjoyed art and loved making quilts especially when she could give them away and bring joy to others. She is preceded in death by her husband, Norman and her brother and four sisters. 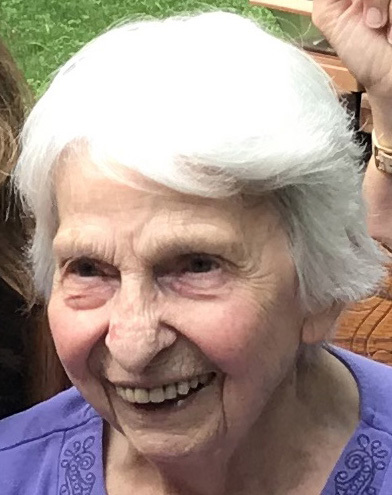 She will be dearly missed by her sons: George (Gwen), Gary (Sally) and Greg (Peg); grandchildren: Leslie, Tara, Jonathan, Jennifer, Jessie, Michelle, Carolyn and David; fifteen great-grandchildren and many other family and friends. Funeral service 11:00 AM, Tuesday, November 20, 2018 with visitation one hour before at Henry W. Anderson Mortuary, 14850 Garrett Ave., Apple Valley. Elnora will be laid to rest with her husband, Norman at Ft. Snelling National Cemetery on Wednesday. In lieu of flowers, memorials may be made to, Communication Center State Services for the Blind or Fairview Hospice in care of Fairview Foundation.